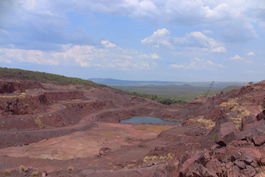 Vergenoeg combines an excellent local team, a unique mineral deposit and Minersa’s most extensive experience in the fluorspar world. 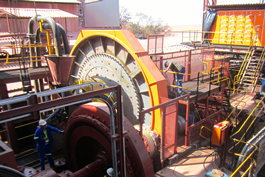 The result is Vergenoeg Mining Company (VMC Fluorspar): the main (frequently the only) South African producer of this mineral, and one of the largest in the World, with a growing production capacity (currently, 240,000 tpy) of acid grade fluorspar and metallurgical grades in various formats. Vergenoeg Mining (VMC Fluorspar) has mineral resources in excess of 122 million tons, which allows it to cover, for over 100 years, both current export needs and the needs of South Africa, including any potential project to beneficiate the mineral domestically. Not surprisingly, Vergenoeg keeps one of the largest customer base in the World, with customers located in all continents and market niches, who buy from us year after year. Vergenoeg is also delighted to be also the supplier of preference for the domestic market. Vergenoeg’s fluorspar operations consist on a large dimension open pit mine, an on site processing plant equipped with advanced processing and control means, a modern laboratory, drying and bagging facilities, a briquetting plant, offices etc. Vergenoeg is a company committed with the promotion and implementation of health and safety policies, the promotion of historically disadvantaged people, the social and economic improvement of nearby villages and protection of the environment.